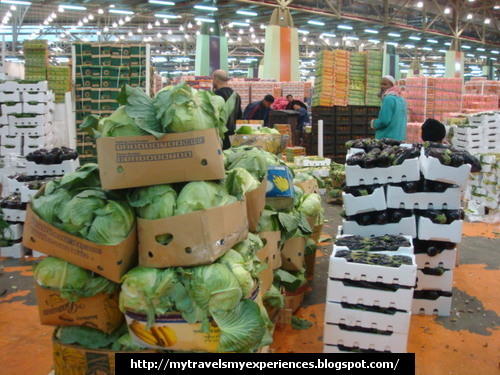 Last weekend my husband asked me if I would like to visit the wholesale fruits and vegetable market of Kuwait. I jumped at the idea, as the weather was good and we had not explored Kuwait for sometime as one or the other personal work tied us down for the last few months. I knew that it’s near Jahra but was not sure of the road. But with Jeet at the driver’s seat there is nothing to worry about. Our visit to the House of Mirrors, Equestrian Clubs, Red Palace, Kuwait House of National Memorial, Al Qurain Museum, Tareq Rajab Museum and many more, was our first visit to these places and to the respective areas. But without any difficulty he drove us to these places. Alforda is located at Sulaibiya, with just a quick drive along the 5th, 6th or 7th Ring Road, left from Jahra or right from Kuwait City onto Road 604. What struck me was its magnitude….both of the complex area and the quantity and variety of fruits, vegetables and eggs. And what to say about its cleanliness(as seen in all the malls and shopping centers of Kuwait). But still I was expecting some dirt and mess as it was a wholesale market. We saw both Kuwaiti and expat families who took advantage of this sparkling market. It’s a good drive out on a weekend to shop for the finest and freshest fruit and vegetables in the wonderful cool surroundings of Alforda. Spending time at Alforda is a pleasure in itself and driving home with such fresh produce is a wonderful way to end your day. But it’s advisable that 2-3 families go together, as you will get it in much less price then exciting price if you buy in huge quantity. 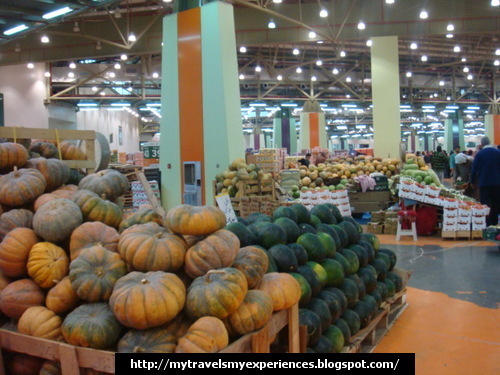 Alforda, in old Kuwait, was a vegetable market located near Al-Seif Palace. It was also the first Kuwaiti berth where vegetables and other commodities, brought by ships, auctioned daily. Now, Alforda Central Fruit and Vegetables Market occupies 300sqm of air-conditioned market space filled with the freshest local and international fruit and vegetables, sold wholesale to the public at the best prices. 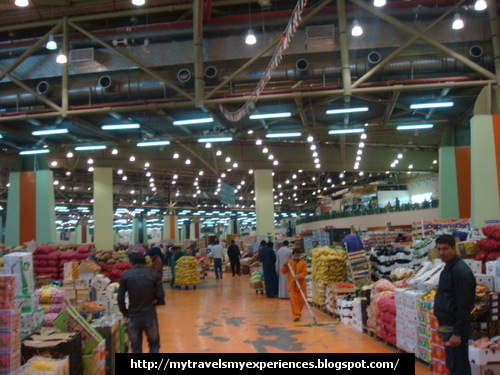 It is one of its kind in the Middle East, is Kuwait’s fruits and vegetables consumers pre­ferred spot that vend daily freshest produce from Kuwait and around the world. A modern auction center is one of the many convenient aspects of this market and both individual buyers and brokers are accommodated. The market includes a unique cooling system for trucks, which plug straight into the market’s power system, to ensure ongoing coolness and produce which is being processed, can be stored in over 15 thousand sqm of chilled warehouses. Alforda is managed by Al-Wafir Marketing Services Company, one of IFA group of companies.